Apple and Rose Delight in Staten Island NY - Kitty's and Family Florist Inc. 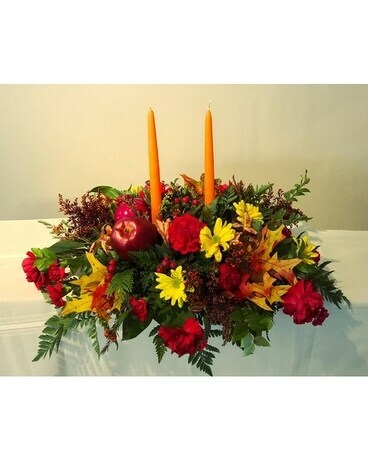 This beautiful arrangement is perfect for your table, fireplace or anywhere in your home. It is a also a great gift to send to your family and friends this Thanksgiving.